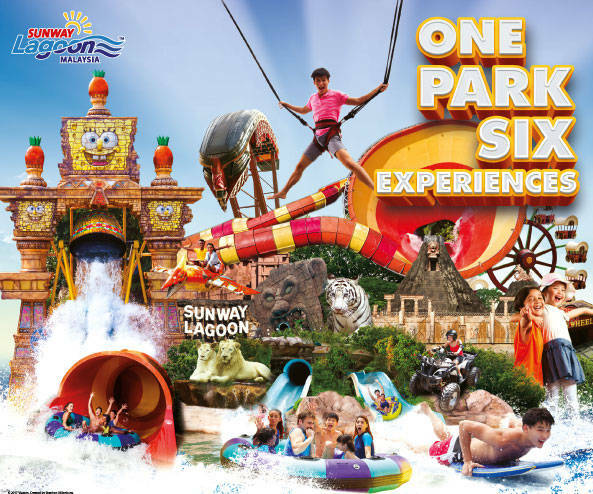 Located about 50 mins away from Kuala Lumpur, Sunway Lagoon is one of the oldest and the most popular theme park in Malaysia. 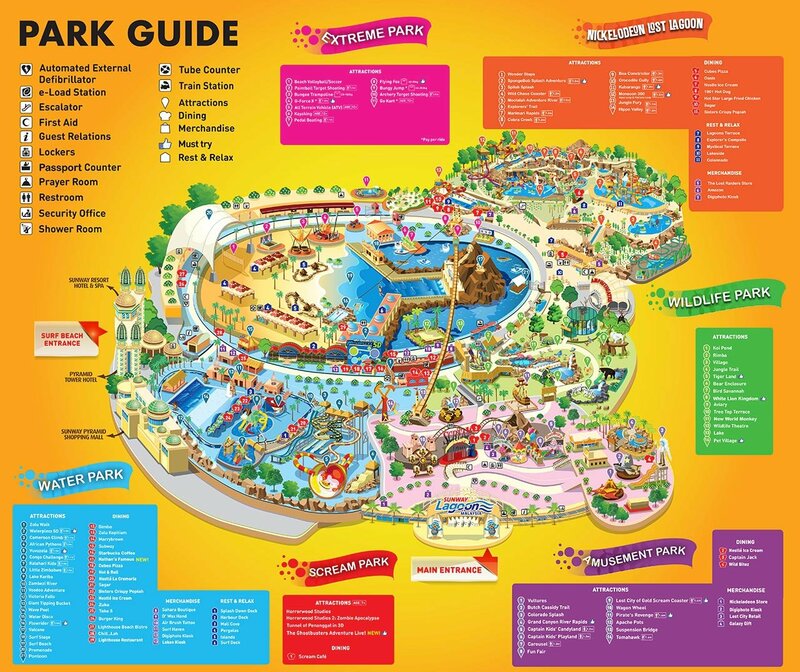 The theme park has 6 zones Water Park, Amusement Park, Wildlife Park, Extreme Park, Scream Park & Nickelodeon Lost Lagoon. This is the place to go if you are looking for a non stop fun filled time if you have a day to spare in Kuala Lumpur. This is a perfect getaway for families, couples and friends and it really easy to get to from TravelHub KL. It is a somewhat an iconic family destination as most of Malaysians have been to this place at least once. Sunway Lagoon today has been thru alot of changes and improvements compared to what it was when I was younger. 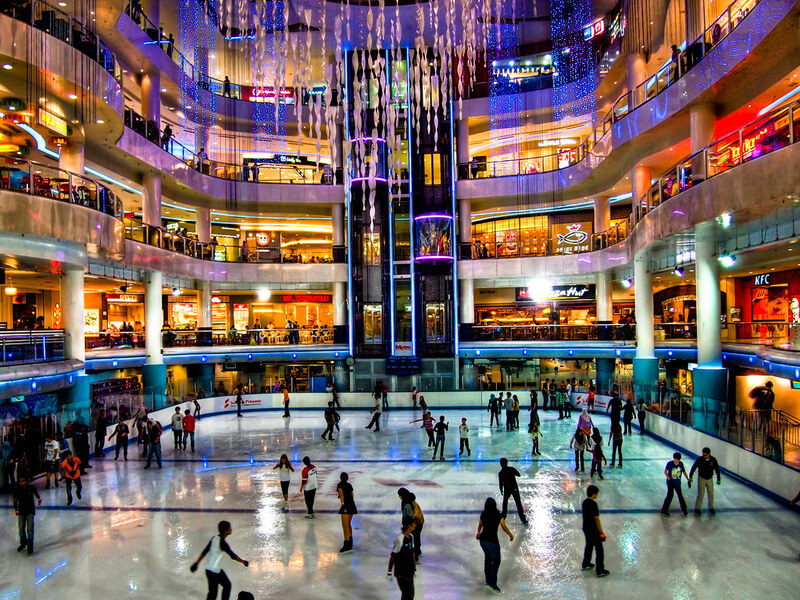 Going to Sunway Lagoon also offers a great shopping destination, an indoor ice rink and also fun mall activities which is unique to this place alone. Bring an extra set of clothes if you are going to the theme park. There will be lockers provided with a fee and please do bring some extra cash as well. Food in the theme park is relatively expensive. I would suggest that you have a meal before you head to Sunway Lagoon. Head out the door and take a right. You will reach a junction and on your left will be the Pasar Seni Station. Walk towards the station and you will arrive to many buses stopping before the escalator up to the train platform. Do not head up the platform, instead, the will be a lot more bus stops on the left of station. Head below the station and cross the road behind and head straight. You will see the numbers of the buses stopped there and there are signboards which tells you which bus is heading to which direction. Look for platform E and U63 buses will be there. Board the bus and you are on your way to Sunway Lagoon. Look out for the giant Pyramid- like shopping mall. That is where you will get off the bus. The stop which you are stopping is Sunway Pyramid. Sunway Lagoon is right behind the famous shopping mall. Once you got down the bus, head into the shopping mall and make your way to the blue section. 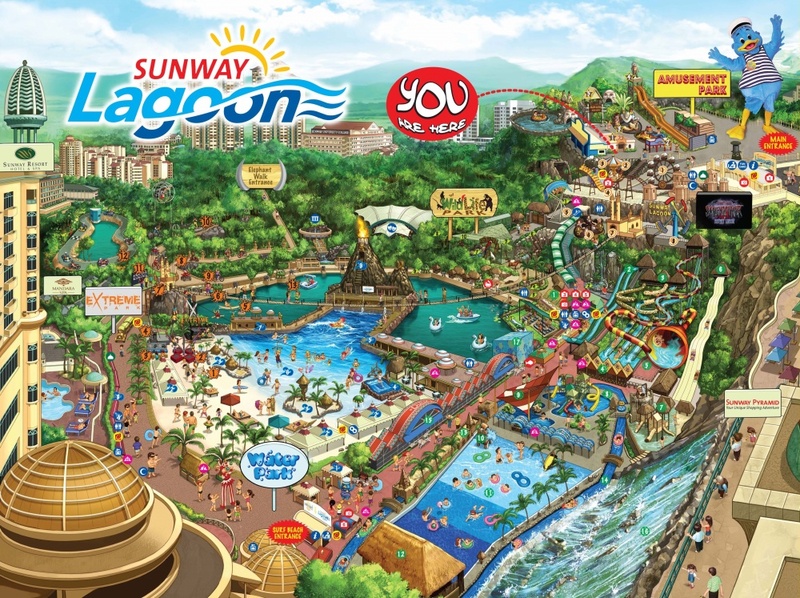 The entrance of Sunway Lagoon is located outside of the south exit on floor LG1. Once you exit that entrance you can see Sunway Lagoon theme park. Shopping, Ice rinks and Bowling. 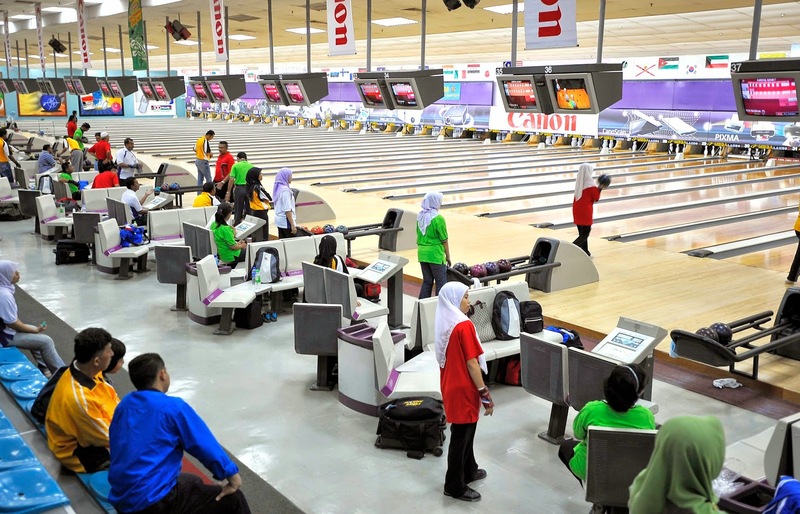 Sunway Pyramid which is the shopping mall which you have entered offers great shopping experiences and many entertainment specialties aside for the famous theme park. If you find the theme park too pricey for your budget, you can always opt for other alternatives like bowling and ice skating.